The Brother Hood Yiros + Grill, Admiral Street, Seddon. 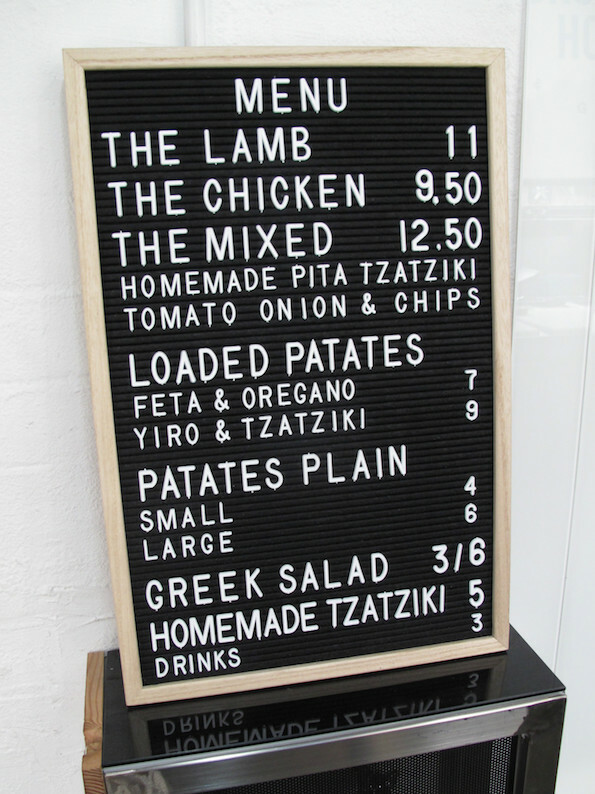 It’s inevitable there will be comparisons between this place, just off Buckley Street, and that other new Greek street food-style gyros/souvalaki joint in Seddon. This is no big deal, as I’m pretty sure both are going to prosper. Truth is, there’s a welter of kebab-type meals available in the west but a for-sure dearth of Greek classics, a vacuum/niche into which both are happily tapping. Their meat is grilled over charcoal. They make their own pita bread. There’s another point of difference that’s not so favourable – or at least it’s a little different. The Brother Hood place is not a restaurant. It’s takeaway only, though there is a wait space – that’s about as big as a bathroom in a cheap motel. It’s there that I enjoy my first BHYG meal. And most excellent it is. 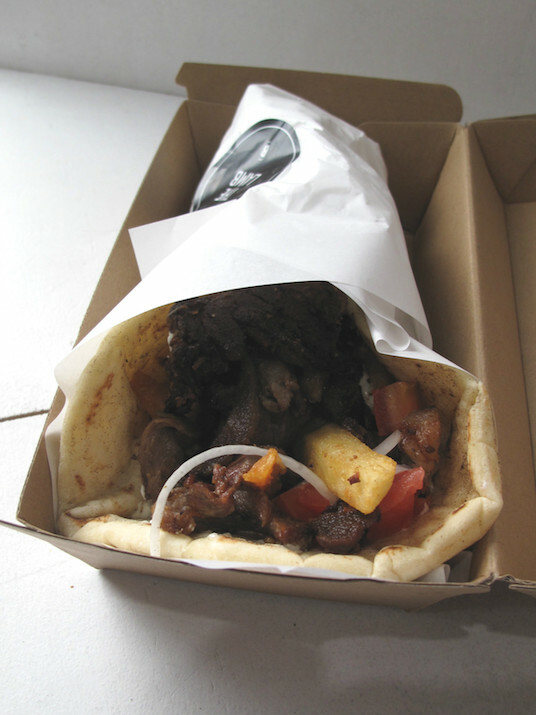 My lamb wrap, at $11, costs a couple of bucks more than the Meat The Greek equivalent and it shows. Everything is ace, from the house-made pita bread on up. There’s plenty of lamb – and, best of all, it’s of the classic crusty variety. 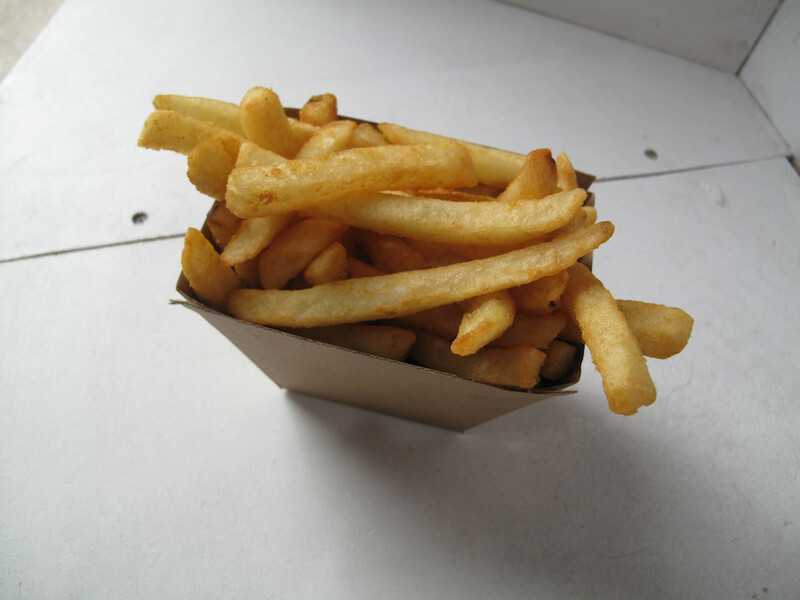 My unadorned “patates”, or not “loaded” as the current argot goes, are very good and well priced at $4. Brother Hood Yiros + Grill? I like it that I can do both. 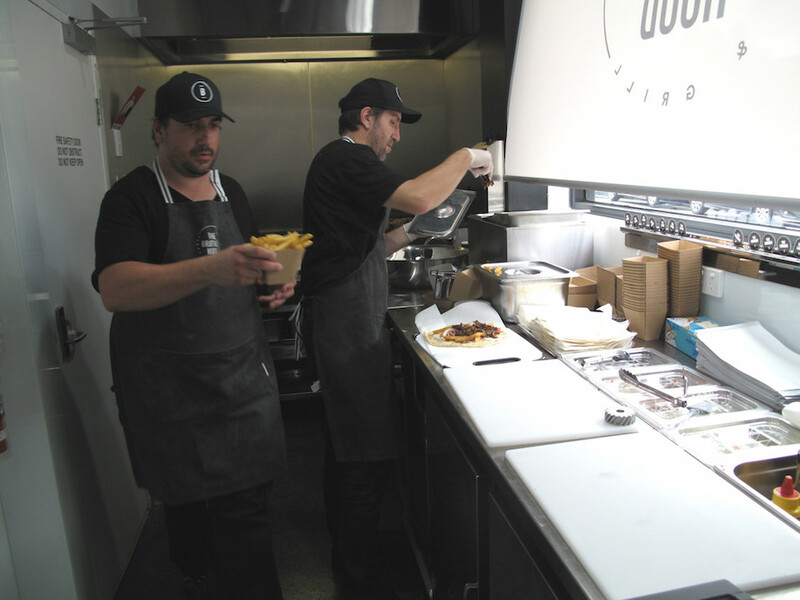 Brother Hood Yiros + Grill is open for dinner hours only on Mondays, Thursdays, Fridays and Saturdays. Good as it might look… no seating, so it’s street eating or in-car eating? No thanks. And no lunches? Couple of big missed opportunities. Yes, all factors. I suspect they’re perfectly happy with the set-up they have. From my long ago Athens experience, the eat-as-you-are approach mirrors what happens with similar street food there. As well, there could be space and/or zoning issues. I live within a few seconds walk to the Brother Hood and am looking forward to checking it out for dinner soon. I imagine The Brother Hood are banking on most of their customers being take away or delivery using Uber Eats or Deliveroo so hopefully rubbish or people on the street wouldn’t be a issue. I am actually looking forward to more activity around Buckley St – bit of a dead zone atm especially walking home late at night from Middle Footscray train station. The old canvas blinds shop on the corner is tipped to be a pizza tavern. Plus 2 new shops for lease at the Buckley Apartments. Bring on more development on Buckley St! Yes, agree, Ann! Buckley St needs more Life! Though the traffic is a problem.